Modern homes today face the need to have multiple leveled window protection that will control sunlight penetration, privacy, and level of insulation. The best invention for multi-level window protection is the Top down Bottom up Blinds. These blinds work on two platforms – raise the blinds from the bottom to peer out or lower the blinds from the top to allow sunlight inside in the house. Top down bottom up blinds give ample privacy while controlling the amount of light. By lowering the shades from the top, you allow natural light to come inside. Keeping the rooms darkened always is also not viable as it can create a gloomy atmosphere inside. So, allowing little sunlight during the day is useful and since the sunlight is filtered through window covering transcendent material, its effect upon room furniture and carpets etc is lessened. One might wonder how the bottom up shades allows privacy. 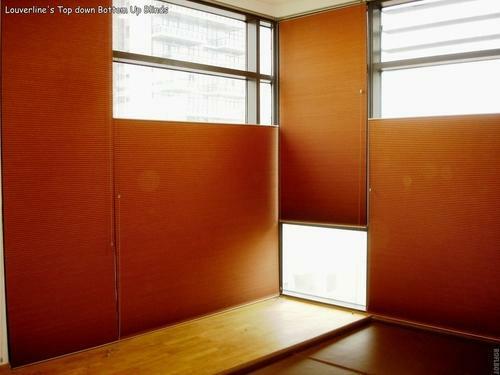 The window covering consists of two types of materials so when you raise the blinds from the bottom, people on the street cannot see inside the room. As a matter of fact, the bottom up shade is really beneficial for people whose homes are on the ground floor and they find public intrusion from outside people peeking into their homes annoying.